My local bargain bin often puts out pots of Heuchera, and I always grab them. I like the contrast that their leaf colour makes with neighbouring greens. 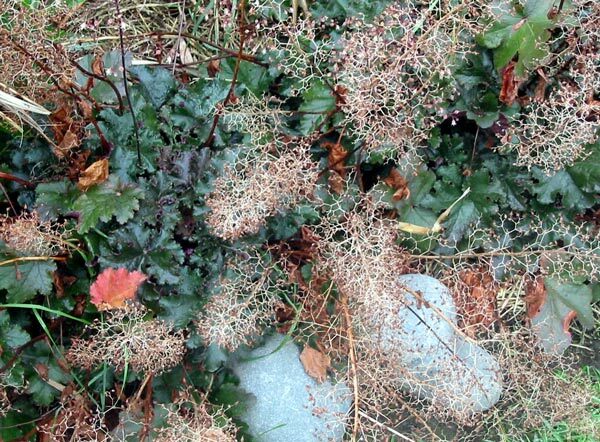 I often plant three or four together along part of a path edge. There are two new varieties which I think I have acquired. One of these is pictured here. It has smaller leaves which remind me of pewter. I also grow Heuchera in pots, and look forward to them flowering - part of the appeal of Heuchera are their delicate gauzy flowers, often a dull flesh pink in colour. They appear in early summer. Some gardeners think brown plants are trendy, while others get upset that the colour has a dead-plant look. I have some brownish leaved Heucheras which I love. But because the pots were never labelled, I'll never know exactly what they're all called. The plants which give me the best showing are in the shade. 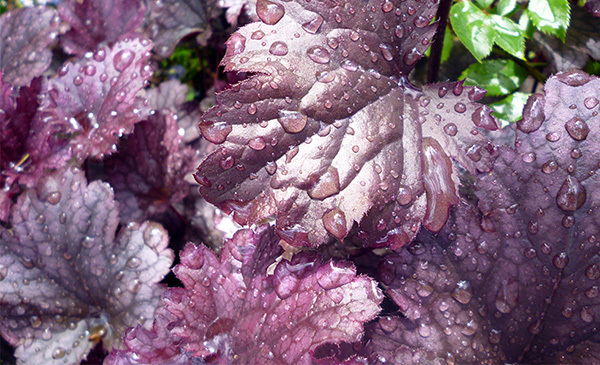 These Heuchera have leaves which are a really beautiful and rich purple, and could be the variety known as Purple Palace. Because of their prime position they stay purple, too! Lucky me - a friend gave me some clumps from her garden. 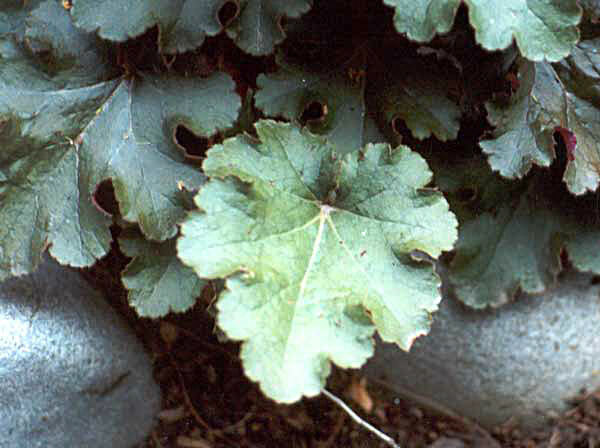 Clumps of Heuchera will grow happily in sun or shade in my garden, as long as they are watered and divided every three years or so. In continually hot weather their leaves can get badly burnt.